The first time home buyer fears a number of things. Basically she's anxious about what the outcome of the purchase will be. Is the property genuine? Is the property overpriced? Is the estate agent trustworthy? Has she been told the truth about the property? These are questions that run through your mind as you get ready to part with your hard-earned money in exchange for an already built apartment. Be assured that your worries and first time home buyer fears are only natural. After all, you're making the biggest investment of your life. A home is the most expensive item you will buy in your lifetime. And Who wants to lose all that money to fraudsters? Not me, not you . . . not anyone in her right senses. Therefore it makes perfect sense to be wary when buying a property, especially if you're a first time home buyer new to the business of evaluating a property for quality. Here are some tips to help you buy like a pro. 5. Trust your instincts. If you have an uneasy feeling about the property, it's best to fore-go it. 6. Ensure the transaction is legally binding. Get a lawyer to draw up the appropriate legal documents. Home buying is not a culture among Nigerians just yet. Most people go through the rigor of building their own home instead of buying and moving in almost immediately. Consequently, a first time home buyer in Lagos Nigeria will have additional concerns to those already discussed. Buying a new home is just like buying a new car or anything else you use in your everyday life. Irrespective of your personal believes, buying a home simplifies the journey to property ownership. You step from being a tenant to a landlord in a matter of days not months. But be sure to safeguard your purchase using the tips above. P.S. Ready to buy your dream home? Search through available property for sale. P.P.S: Want to Advertise on this site? Click HERE for details. P.P.P.S: The book, "How To Earn One Million Naira Per Month – The Secret To Financial Freedom Revealed! ", explains five strategies to grow your income to as high as one million Naira per month. 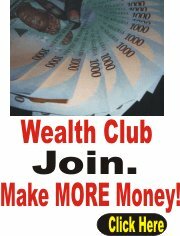 Want to earn one million Naira per month? Click HERE to learn more. P.P.P.P.S: Do you love this site? Then become one of our sponsors.